Ahhh, summer vacation. A time when moms lose their minds, go broke stocking the pantry with snacks, and kids are always “bored”. Who’s excited?! All joking aside, I really AM excited for summer break. Although I WASN’T joking about the going broke stocking the pantry with snacks. That’s all my kids want to do when they’re home. Snack. 15 minutes after breakfast… “Mom, I’m hungry I wanna snack.” Well, right on. So I know this “snack” bit is coming up, but this time I’m coming in strong. Lock and loaded with healthy snack ideas that will fill them up for, oh, I don’t know, at least 30 minutes. Like this Avocado Chocolate Mousse Parfait that I teamed up with Vital Proteins to bring you. When I first ran this idea by my husband the look on his face was pure disdain. Avocado mixed with cocoa powder and honey? Topped with whipped coconut cream? Yikes! I get it, it sounds a little strange. But I convinced him avocado mousse was a “thing” and the kids would love this. I know he still didn’t believe me. I love, love how healthy this mousse is and I love that it’s kid and grown-up approved. All of the ingredients are super clean and healthy but I decided to take it up a notch by adding some Collagen Peptides from Vital Proteins into to. I haven’t talked much about it on social media or my blog, but I’ve started to seeing a functional medical practitioner to address some long standing health issues. I won’t go into details because, quite frankly, it’s a little boring but I’ve started adding some supplements into my diet, including collagen, and am loving the benefits. In case you aren’t aware, Collagen Peptides are short chain amino acids and in this case, Vital Protein’s are derived from pasture-raised, grass fed collagen bovine (cows). Collagen is actually the most abundant protein in our body, however as we age production slows down. Awesome. (Please note the sarcasm dripping from that “awesome”.) I’ve been really excited to introduce Collagen Peptides into my diet as the benefits are numerous. Improving your skin and hair, aiding in the repair of leaky gut and relieving joint pain are just some of the benefits of collagen. Not to mention, each serving has 18 grams of protein. There’s also benefits for children including promoting healthy bone and joint growth and possibly aiding in restful sleep. 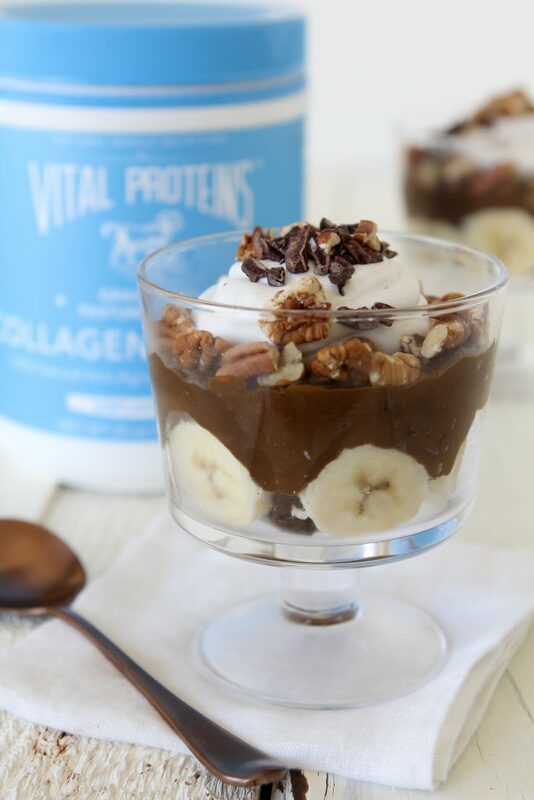 Vital Protein’s Collagen Peptides are crazy easy to use. They’re soluble so you can add them to things like beverages, smoothies, soups, AVOCADO CHOCOLATE MOUSSE. You can’t taste, see or feel it in the recipe but you and the kids will have the added benefit. Done and done. 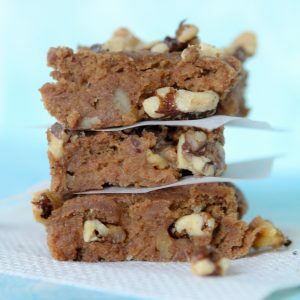 You really don’t need much to make this recipe, it’s only 7 ingredients and chances are you already have it all in your kitchen. There area couple of things that you’ll want to do ahead of time however. One, put your can of coconut milk into the refrigerator overnight to solidify the fats for the whipped coconut cream. And two, you’ll want to make the mousse a couple of hours ahead of time to give it ample time to chill in the refrigerator. And that’s it! Now you have a delicious and easy snack for the summer that both you and the kiddos will enjoy with the added benefit of the collagen peptides! Feel free to add other toppings like shredded coconut, mini chocolate chips, strawberries, whatever you little heart desires. And in case you need STILL some other easy, healthy snack ideas hop back a post to my Apple + Almond Butter Sandos! An easy to make snack using avocados to make a rich chocolate mousse. 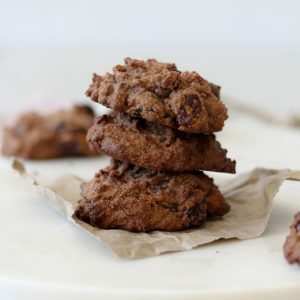 Gluten-free, paleo friendly and dairy free. I added 1/2 cup fresh berries and one spoon of espresso powder. The recipe went well in my martini glass. 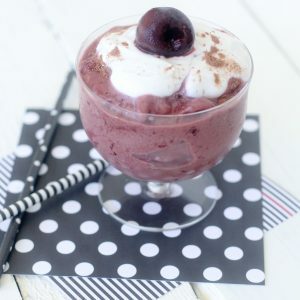 I have also tried your CHOCOLATE CHERRY CREAM RECIPE instead of cocoa powder i added semi sweet chocolate It was really mouthwatering.